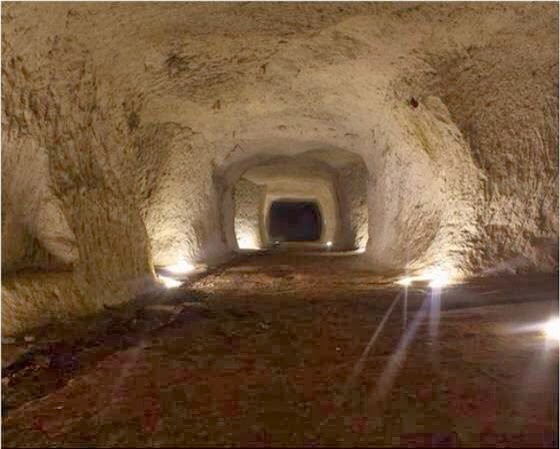 Beneath the ancient city of Rome is a maze of tunnels. Originally carved out as the Romans quarried the volcanic tufa, they have been used over the centuries to deposit the dead, farm mushrooms, and shelter from the bombs of World War II, among other things. But time, weathering, and amateur repairs have weakened them to the point where an increasing number of collapses have occurred. To predict and prevent further collapse of structures on the surface, which rose from 44 in 2011 to 83 to date this year, the high-risk areas of the tunnel system are being mapped by George Mason University in Fairfax, Virginia, U.S., and Centro Ricerche Speleo Archeologiche (Center for Speleoarchaeological Research) in Rome. First they scan the passageways with 3D lasers to search for hidden weaknesses, then – when they determine the tunnels are safe – they enter them and map them by hand. Critical areas identified as unstable are being filled in by city officials, rather than just patched over. The mapping will provide a tool to combat the erosion which will continue to get worse. As geoscientist Giuseppina Kysar Mattietti explains, "A crack never stops on its own. It always gets bigger."